On Sale Now! 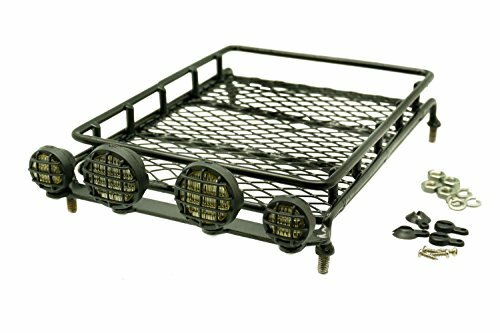 Save 5% on the Gadget Place Metal Roof Rack / Luggage Storage Basket with Light Housings for RC Toys by Gadget Place at Our DXC. Hurry! Limited time offer. Offer valid only while supplies last. The rack is made of metal but the LED housings are plastic. Including 4 pieces of wired LEDs. Powered up by receiver. This is for 1:10 RC toys, NOT for real vehicles! View More In Cargo Baskets. If you have any questions about this product by Gadget Place, contact us by completing and submitting the form below. If you are looking for a specif part number, please include it with your message.